Amazon will generate $4.61 billion in U.S. ad revenue in 2018, taking 4.15% of digital market share, estimates eMarketer. The analyst and data firm initially forecast $2.89 billion. The marketplace jumped to No. 3 among U.S. digital ad platforms -- moving behind Google at No. 1, which eMarketer estimates will take 37.14%, and Facebook at No. 2, with 20.57%. This means Google and Facebook will earn a combined 57.7% of U.S. ad revenue, down from 59.1 in 2017. Microsoft sits at No. 4, along with LinkedIn with 4.05% and Oath at No. 5 with 3.32%. eMarketer notes that the increase is partly attributable to consumers increasingly starting product searches on the site rather than on Google, giving sellers a reason to increase bids. The other contributors include strong accounting changes that now classify some advertising services as revenue, where as they were previously classified as cost of sales. The distinction, apparently, is helping Amazon secure exclusive ad campaigns from phone maker OnePlus, a Shenzhen-based Chinese smartphone manufacturer founded in 2013. One media outlet reports seeing a leaked banner ad on Amazon for the OnePlus 6T, exclusive to Amazon in India. eMarketer also forecasts Amazon to $4.81 billion in mobile ad revenue by 2020 -- up from $2.89 billion in 2019 and $1.61 billion in 2018. In December 2017, Survata released numbers from a study estimating that 49% of product searches begin on Amazon, rather than traditional search engines, based on a study of 2,000 U.S. consumers. Search engines took 36%, and retailers 15%. However, when consumers have no idea what they want, 46% will turn to search engines like Google and Bing, leaving Amazon with 39%. 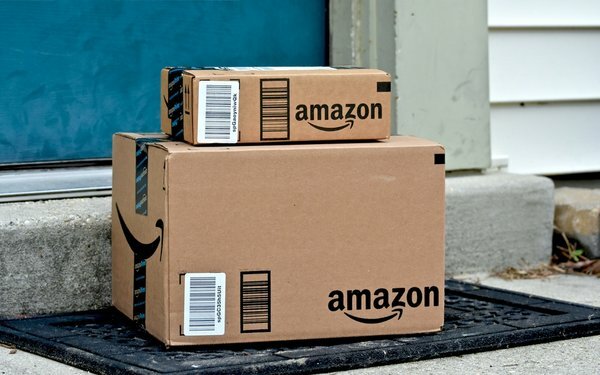 Some 28% of consumers who took Survata’s survey credited Amazon’s experience and easy-to-use navigation, while 27% cited Amazon’s product variety and selection as their primary reason for starting there, 25% named prices for the reason, and 17% cited shipping capabilities.